There’s something about French guys… and you just want to hear what they have to say! 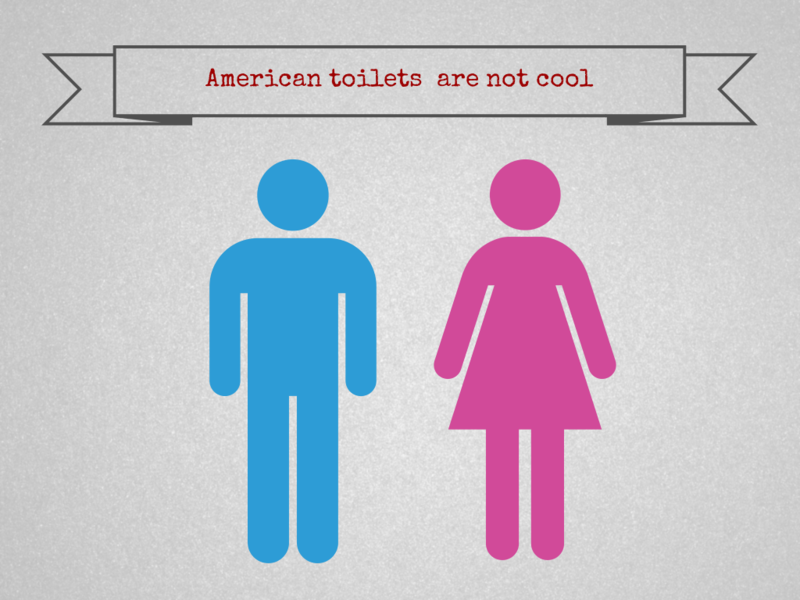 I’m often asked what my husband thinks about American culture, food, the people and more. 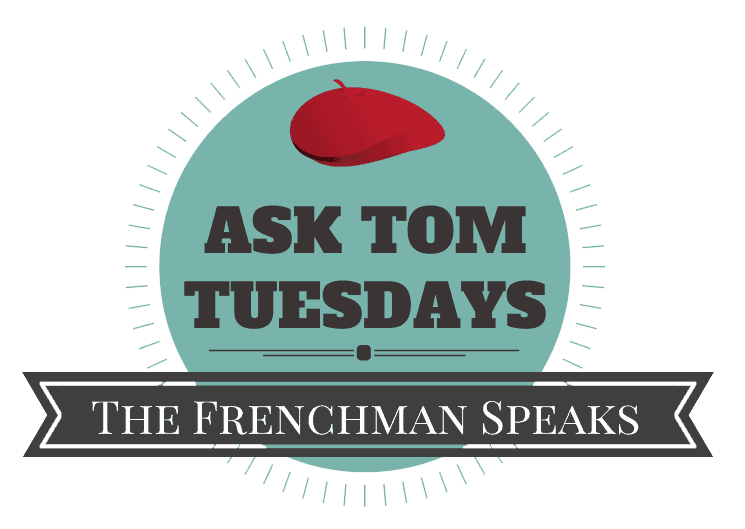 Curious minds want to know what French guys think about all kinds of things, so today, my husband, Tom, is bringing you the second post in a new series called The Frenchman speaks: Ask Tom Tuesdays. He’s answering your questions about whatever you want to know…. Today’s topic? 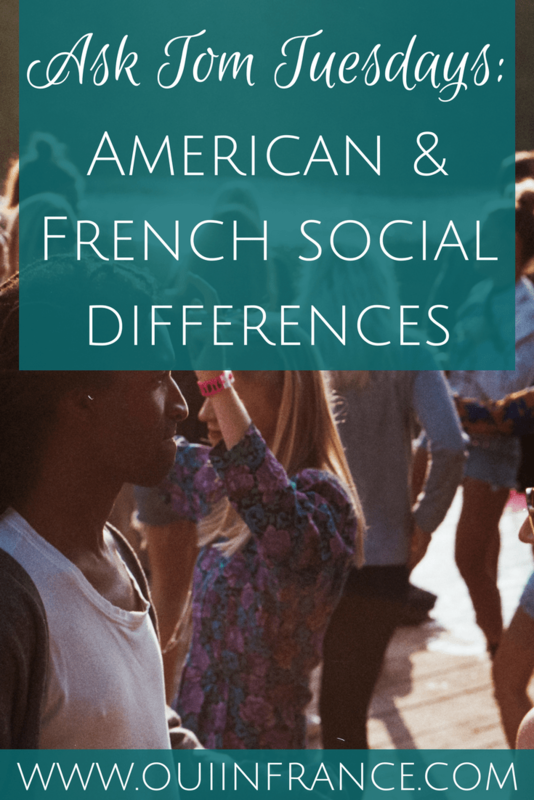 The often misunderstood American and French social differences! GO!! Again, I want to extend a BIG THANK YOU to my husband for being a part of my blog. It’s not easy to write well in your second language and he makes me really proud. Let’s do this…. So to start, I find that Americans tend to be more enthusiastic about social interactions. She was really excited and had a lot of follow-up questions. It was an enthusiasm I’ve heard from others in the U.S. when they see I’m French and something you’d never get in France. The French are just more reserved and in a casual situation where you don’t know the person, there are boundaries as to what’s polite in conversation. I’ve also noticed that the conversation subject matter tends to be more open with Americans, like personal topics are discussed, even if people don’t know you — about family, where you’re from, where you’re going, etc. In France there’s a social “convention” that makes us not ask about something we consider private. The boundaries here in France are not the same. The private “sphere” is considered something very important, almost “sacred” (or holy), and is to be respected. It would be considered really rude to cross that boundary with strangers. It’s also what marks the difference in the degree of friendliness/friendship. What is just “small talk” in the U.S. might never happen in France. To further explain, here are some recent examples of questions that come to mind that you wouldn’t ask in France casually (and questions I was surprised people I didn’t know would ask me in the U.S.): Are you twins? 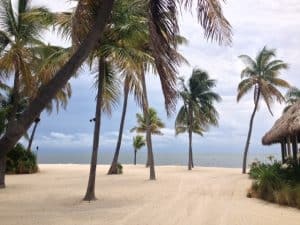 Where did you meet (after knowing I was married to an American), Where are you from (asking Diane who is clearly American, just in passing when in the Keys or Southern Florida in general). In France, Diane is sometimes annoyed about this aspect of French “manners”; it makes her upset sometimes that people don’t ask questions like where she’s going on vacation or follow-up questions after she says something — because it makes her think that people don’t care, whereas they’re just “respecting” the boundary of private space. They’re just being polite by doing that! So while asking certain more private questions in France appears rude, it’s normal in the U.S. and even welcomed. 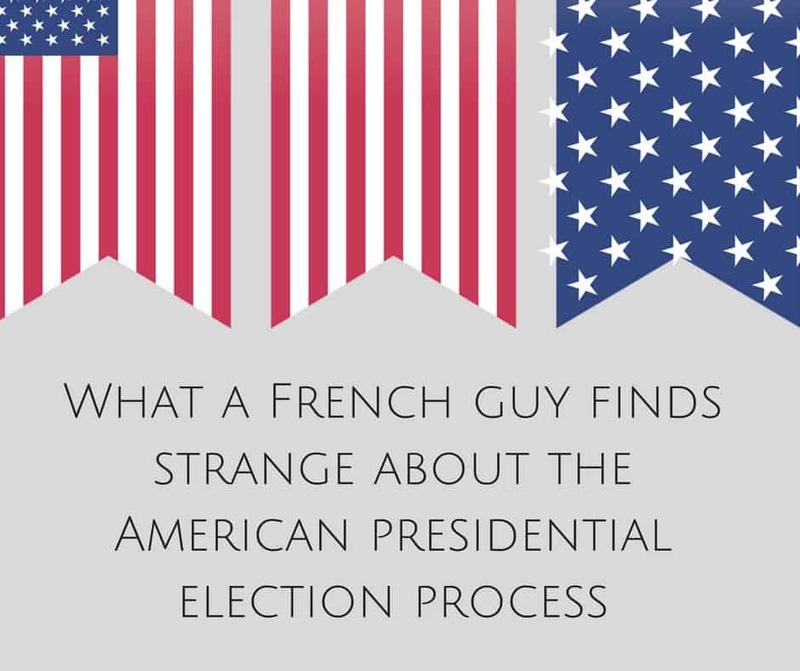 Not asking those questions is seen as polite in France when it’d be almost proof of disinterest in the U.S. In France asking too much is seen as curiosity, which isn’t seen as something good/polite. So yes, it appears that when talking to them, American people want to know more about you than French people would want to know — or at least publicly admit to. Now is that the truth? Are American people really more interested in each other, or is that only a superficial habit that’s the norm? Now we all know that everyone’s answer is, “Good, thank you” (or something like that). Has anyone ever responded in the history of the world, “Well, actually, I don’t feel good today. Let me talk to you about my problems…” to a cashier or waiter? The fact that in social interactions American people seem more “familiar” and talk about personal things with strangers than French people makes it almost contradictory that in the US you don’t kiss (do bisous). The cheek kiss is what we do in France instead of a hug or handshake (although in some social settings a handshake is normal, like in business or someone you don’t know that well). In France, we don’t “joke” with food. We take meals seriously and it’s a part of the way we socially interact with people (the big meal on Sunday). Also, when you invite people over, you don’t invite them for sandwich or just a little meal. You have to put up the big show (several courses, from the “apéro” to the dessert and even the digestif) and you stay at the table for hours (almost like Thanksgiving dinner every Sunday). We don’t graze or serve a quick little meal. Staring contest or just eye contact? So readers, what differences have you noticed with social interactions between Americans and the French? Did any of Tom’s answers on French social differences surprise you? 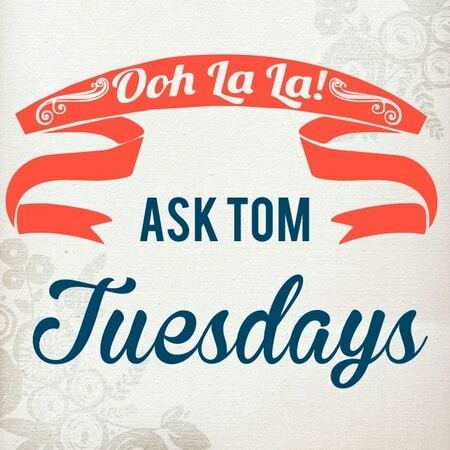 Do you have a question for Tom? Submit your questions in the comments below, via email here or on Facebook or Twitter. Maybe you’ll see it answered in a future post (hope to run this once a month or whenever Tom has time). And as always, thank you for stopping by! Hello Diane and Tom. I’ve been reading your blog for awhile and I always enjoy your posts. Just a few days ago, I was trying to explain to my parents how the French don’t make little conversations with strangers like American do. I sent them this post, because I think you explained this cultural difference very well. I didn’t realize how I missed that aspect of American culture until a recent trip back to the US. Yes, the small talk is a major difference that I think takes time to really pick up on. It’s not as in-your-face as other differences between the cultures. Thanks for checking out the post and sharing! Well, sometimes I wish that Americans wouldn’t be so curious! For example, people I don’t know well ask me if I have kids. This, to me, isn’t appropriate small talk. That’s personal! However, when some stranger holds a door open for me and then asks me what I think about the weather, it’s ok. Weird I know. I live down south, where many people are like that Target cashier on Saturday Night Live. Whether or not that annoys me really just depends on my mood that day. Either way, I think about the intentions behind those speaking. That egg vendor at the farmer’s market who always stops me to ask 10 questions about my dog isn’t trying to be annoying. However, I do avoid her! When I returned from my trip to Paris people were shocked to hear me say that I don’t think the French are rude. They were always very helpful to me when I needed something, but these were people in shops and museums. It was their jobs. If I had bothered a random person on the street, I’m not sure of the response I would have gotten. I think Americans who call the French rude just don’t respect that cultural difference. Haha, don’t stress about the meal. Whatever you make when that time comes, everyone will appreciate your efforts. And if it’s a disaster, have something from Picard in the freezer ready to go. Also, I agree that the questions are all about one’s intentions and that even when intentions are good, sometimes the questions don’t go over well, as in your case w/the lady at the market and your dog. The culture differences are fascinating, so if you have a question for Tom for the next series, please send it along! Yup saw the post on the same topic. Let me know what your husband thinks! Ah, the French and their love of talking about weight. When I came back to start grad school, my boyfriend’s mom commented on how my face looked better because I had lost weight in it. My boyfriend has also done this once or twice, but now he knows better. One thing I just don’t get at about French social customs is that when you enter/exit an elevator, you’re supposed to say hello and goodbye to everyone to seem polite…but then you ride all the way up/down without saying another word. If I say hi to someone in an elevator, I feel like I should make small talk. I am an airbnb host in Paris, and out of 6 US citizens hosts, 3 asked me and were worried about people staring, wondering if they were normal or looked like they were not french. Hahha, yes it’s unnerving to those not used to being stared at. The metro is the worst! It’s always surprising for a French tourist to hear “hi how are you ?” each time you enter a store. I was first a bit ill-a-ease and I would definitively be stunned if a French cashier asked me how I am. However my boyfriend often mocks my way of saying good bye in the US (bye, have a nice day/evening), saying that it is awkward. 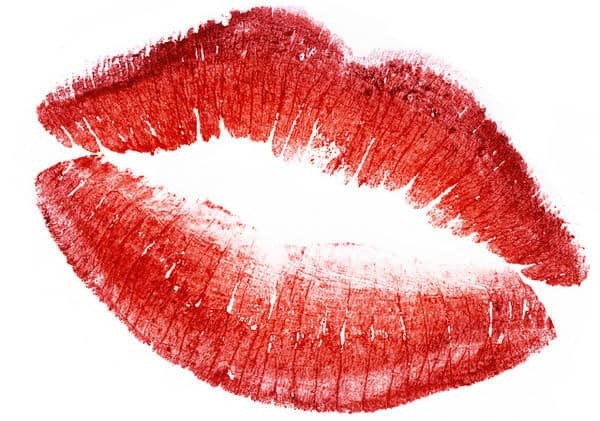 I’m not very comfy with the “bisous” part even if we do it all the time (most of the time without even touching the cheek of the person you’re kissing). Hi there, just asked my French husband for you and he said you can say “Je t’apprecie beaucoup” which would convey the fact that you enjoy his company. But you can say “je t’aime beaucoup” (or bien like you said) which doesn’t mean I love you a lot like it would in English but is more of a “I like you.” Aimer would be stronger than apprecier but neither one means i love you with the beaucoup at the end, so either would work. Hope that helps. Good luck! This was ages ago and correct me if I’m wrong, but I feel like “je t’adore” may also be appropriate in this situation! Very interesting post Tom !! Actually, we don’t show less interest in people than in US, but there’s lot of things we don’t dare to ask when we don’t know well the person. For example, when I met someone or work with someone, there’s lots of questions I’d like to ask but I don’t dare to ask them because I fear the person thinks I’m strange or rude and feels annoyed. Then, the small talk can exist here but it’s harder to find someone who wants to do it. Do people in provincial towns still say Mesdames sieurs when they go into a shop? I often wondered whether one was supposed to check the number of men and women present and modify to Madame sieurs as the numbers present required…?? hank you so much for your help! Thanks for your question as it showed me that I absolutely need to clarify that part! Most important thing you should know is that it’s totally fine and absolutely not wrong to answer back “je vous en prie” or “de rien” to someone that just told you “merci”, it’s polite and that’s what you should use. Just like in English, you’d say “you’re welcome” if someone thanks you for something. Now and as Cal said, when I mentioned “the worst”, I didn’t mean it literally, like it’s not a “bad” thing, I just wanted to overemphasize situations where French politeness is pushed at its strongest to the point where it almost becomes a bit ridiculous, and that’s particularly true about the sequence “merci – je vous en prie – (non) c’est moi, non c’est MOI”, in that case it’s like no one is going to stop using polite phrases like they could keep on telling each other polite stuff forever (and over nothing in most cases, or really not important matters, like something as simple as a grocery store interaction between a customer and a cashier.). Hope it helped clarify my thoughts! I love your posts. We are just beginning to encounter the French culture as we recently bought a house there. The thing about weight has surprised me. I’ve heard people say very matter-of-fact “she should do a diet”. I even had one lady who was undergoing hormone treatments apologize for her bloated stomach. I have found that the younger people are much more willing to engage in small talk as they are usually full of questions about America. Please keep your posts coming as it’s all education to me! Thanks so much, Linda! Happy to have you here! We are naturally reserved with those we don’t know, so perhaps that helps us in Paris. We did receive unasked-for and much appreciated assistance from Parisians a number of times on our last visit. No big greetings or personal questions or hugs, but polite, reserved, help. Our response was reserved, but sincere thanks. We were just being ourselves rather than trying to be “culturally appropriate”. I’m glad you had a nice experience in Paris ! I didn’t know there was such an opposition between French and American politeness before reading this blog. Tom, thank you so much for your writings. Yes I am an American and coming to France to live. I am like Diane that I am a big hugger too. Yes I will have to adjust not to so much hugging but so will my future french friends will have to get use to hugging – lol lol. Looking forward to more of you writings. This is so very helpful. Thank you! We are moving to France in a little over a year and I’m trying to learn as much as possible before we go. It’s terrific to know about the staring–I had not idea!